It's nearly every woman's dream to have long, beautiful, sultry eyelashes, and I am no exception. Unfortunately, I was not blessed (by any means) with stunning lashes. My lashes are short, limp, and rather sparse. With that being said, I had to learn that to achieve the dazzling eyelashes I desired, I'd need to invest in high-quality mascara and an eyelash curler. Eyelash curlers would soon become my best friend. 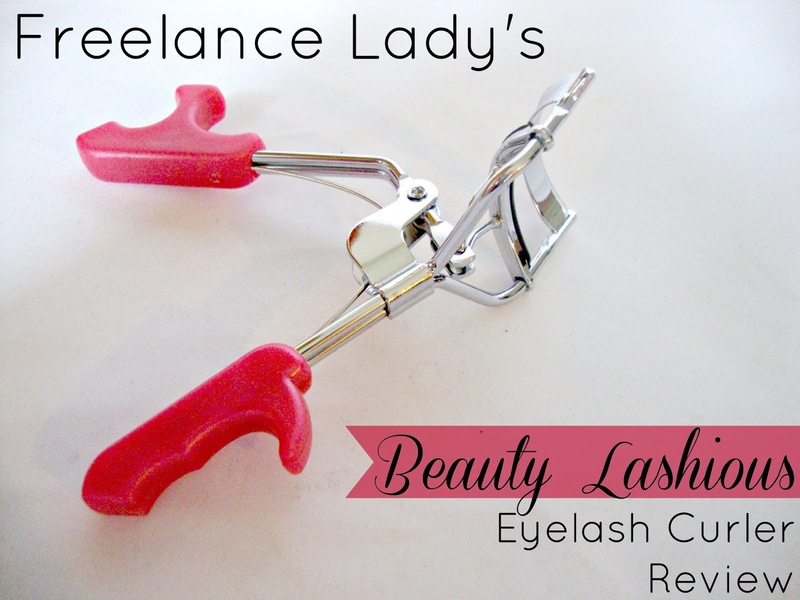 I recently received and tried the Beauty Lashious Eyelash Curler. This particular eyelash curler retails for $14.50 on Amazon, which I believe is a fantastic price for an eyelash curler of this quality (as you will read more about below). The Beauty Lashious Eyelash Curler comes in five different colors. The one that I received is a shade of hot pink (one my my personal favorites). The very first thing that I noticed upon opening the package was the handle. 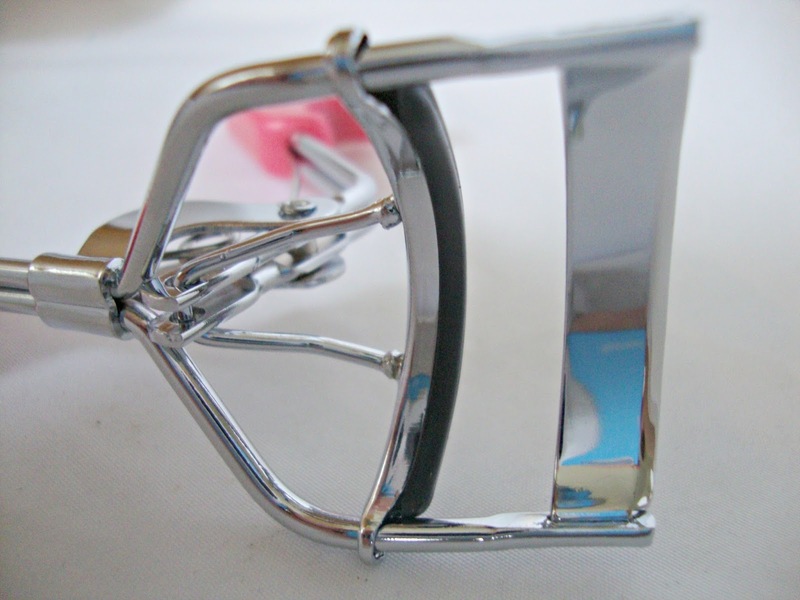 Most handles that I've seen on eyelash curlers are the "loop" style, that your fingers slide through. 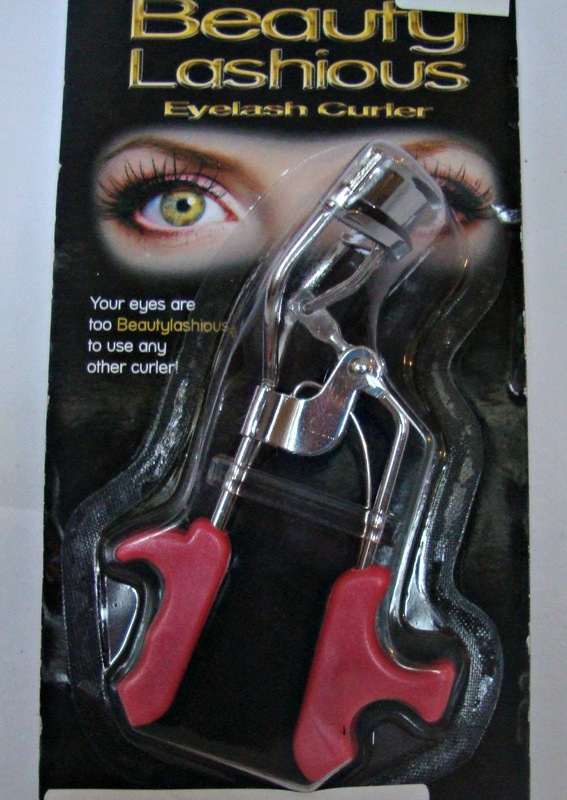 The Beauty Lashious Eyelash Curler has a handle designed to fit your fingers. This makes it incredibly easy to hold and handle. As we all know, eyelash curlers can be somewhat of a scary thing, especially when it comes to pinching. With the Beauty Lashious Eyelash Curler, the chances of your hand slipping are minimal, thanks to the easy-grip plastic handle. Next, I took a look at the "cushion," or pad, where you squeeze your lashes in order to curl them. The cushion is made of rubber, and is very soft which eased my mind a bit. The rubber allows for grabbing the lashes at the lowest point (near the root), which is necessary to get the best looking lashes. A lot of eyelash curlers pinch in the center, leaving your lashes looking "bent" as opposed to curled. That was not the case with the Beauty Lashious Eyelash Curler. As an added bonus to this nifty eyelash curler, there is a "hand clip" that comes with it. 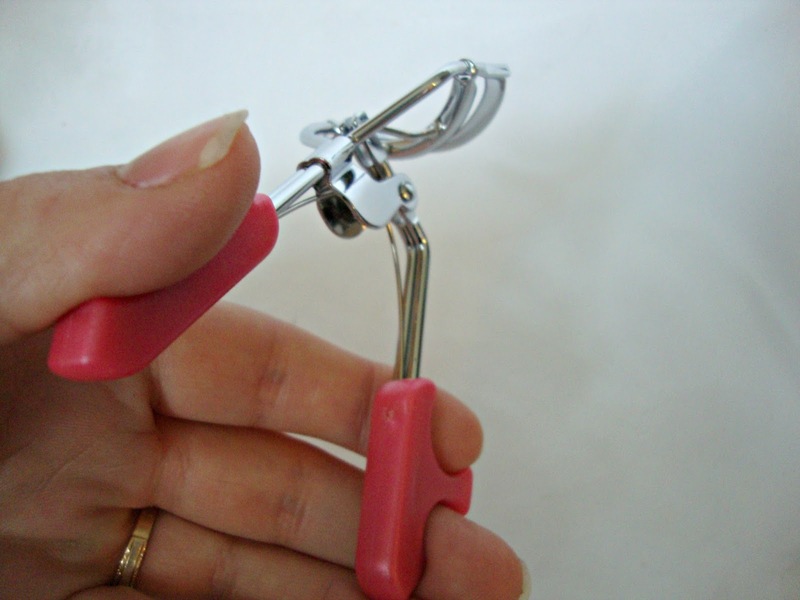 This allows you to clip the eyelash curler so that it stays closed. 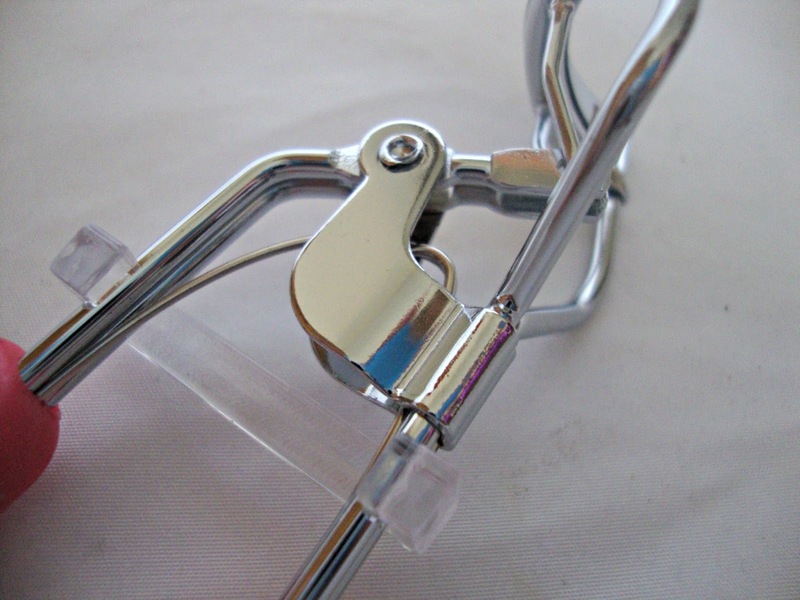 When you put your eyelash curler in your purse or cosmetic bag, you can rest assured that the cushion will stay clean. The actual moment of truth for the Beauty Lashious Eyelash Curler was determining how well it works. At this point, you know that it looks gorgeous, it's seemingly heavy-duty, it has unique handles for easy gripping, and a "clip" to prevent dirt and grime from getting onto the cushion. The Moment of Truth: How Well Does it Work? So, how well does it curl? Pretty well, ladies (and gents). Below, you'll see three photographs. The first picture is of my pitiful, sparse, stick-straight, short lashes without any mascara. Those, my friends, are my lashes in their natural state (told you they were pretty bad). In the second picture, you'll see what my lashes look like after using the eyelash curler. Clearly, they look longer and even fuller (as it spread them out closer to the corners of my eyes). In the third picture, you'll see my lashes after curling them and applying one coat of mascara. BAM! What a gorgeous change! I'd like you to go ahead and take a look at the first picture and then the last picture again. That is a huge difference. For $14.50, this eyelash curler is an absolute steal. It is aesthetically pleasing, with it's different colors and unique, easy-grip handle, and it works really well. I didn't pinch myself a single time (which is hard to say about eyelash curlers I've tried in the past). For the price, you really can't beat it. 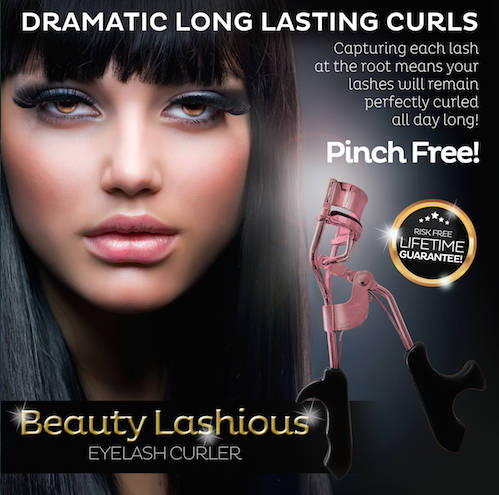 Purchase your Beauty Lashious Eyelash Curler now!